With the advancement of technology, the role of developers have also changed. 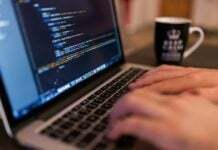 Where originally developers would toil to become experts in one segment of development – backend or frontend, these days developers must have the knowledge and a great command over all aspects of development. The need for growing knowledge and expertise has resulted in creating Full Stack Web Developers. These developers work on the frontend, the backend and everything in between. However, there is another challenge, when it comes to learning Full Stack. There are limited number of resources that cater to helping you become a Full Stack Developer. There are articles that might tell you what you need to learn, but no course or tutorial ties all of the technologies together seamlessly into one course – Until Now. 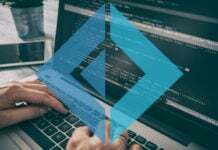 Eduonix Learning Solutions recently unveiled their attempt to take on the entire Full Stack with its big Full Stack Developer Bundle Course. This course is aimed at helping developers like you learn and master the entire Full Stack to go from a normal developer to an expert one. The entire course has been designed to help developers translate from single stack development to a full stack one. So, what can you get from this course? Well, in addition to simply learning the theory behind each technology, you will learn how to apply it practically in everyday projects. You will learn the most famous software and languages that are used in each domain – backend, frontend, database, version control, etc. You will learn how to seamless combine each domain with another one, so you will have a more fluid app or website at the end. That’s not all. 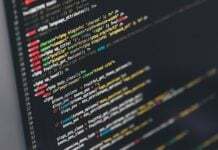 You will learn how to build over 40 different real-world projects and you will receive the royalty free coding for each of these projects for personal and professional use. This course is set to revolutionize the way people look at Full Stack Development. From basics to more complex theories and even learning hands-on experience, this course has it all. The course will become live on Eduonix’s main website towards the end of November. However, Eduonix has released a sneak peak into the course, so you can check out under the hood features. 1. 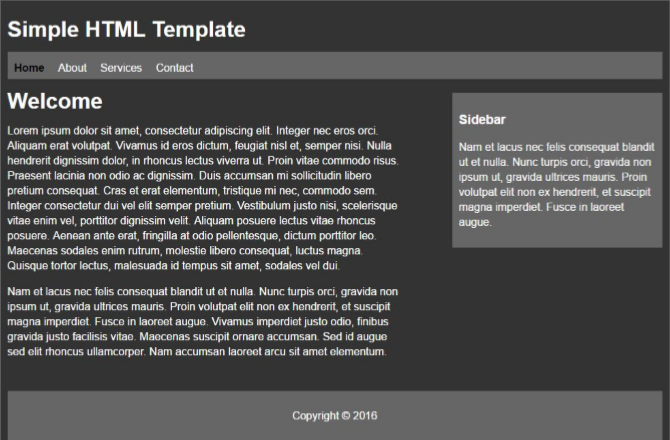 Simple HTML Template: – In this project, you will enter the world of basic templating, by learning how to create a clean and efficient HTML template with multiple pages. Additionally, you will also learn how to make the template aesthetically pleasing by adding CSS. You will understand how to manually design a template, how to link a CSS file to the main .html page, add divs, how to link other pages to your home page, how to design and incorporate a sidebar and also how to incorporate a footer in your project. 2. 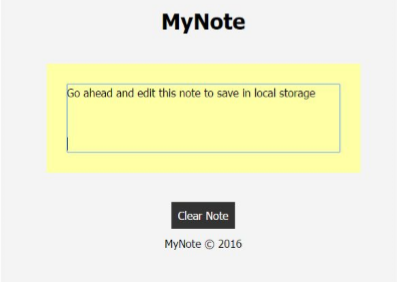 MyNote Project: – In this project, you will build a simple, yet a very important Note Project. The Note will allow you to add, edit and clear text that has been added to the Note. The project will also show you how to add data to the local storage. This project will build up on the HTML template, teaching you how to design the note, add functions in the script tag, store data in the local storage, edit data and even clear the note. 3. 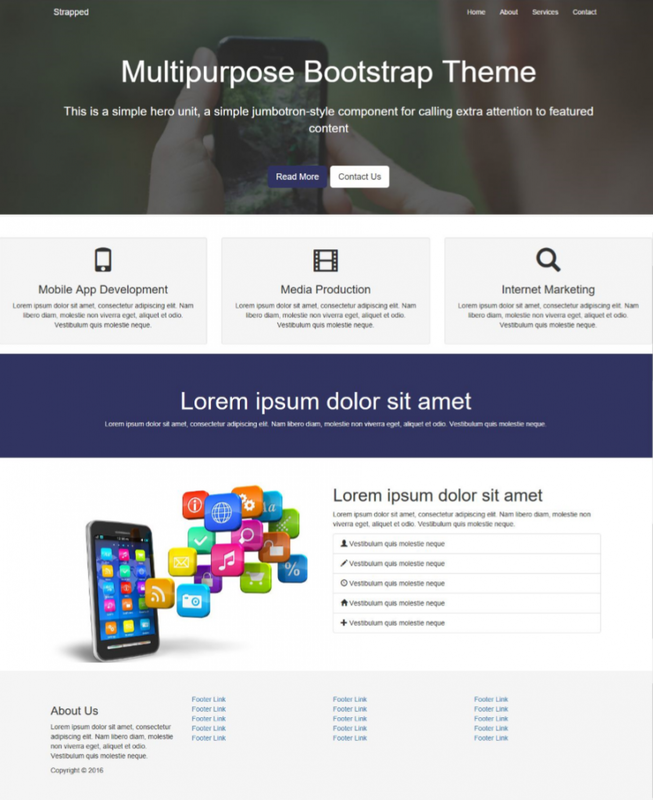 Multipurpose Strapped Theme: – In this project, you will learn how to create a functional UI for a multipurpose Bootstrap Theme, including formatting it with CSS. The theme includes boxes, icons, lists and even footers. There are also inner pages that you will learn how to format with CSS, while understanding how to make the entire theme responsive for today’s many different screens. 4. Github Profile Finder: – While a simple search application, this plays an important role in web development. In this project, you will learn how to use a bootstrap CDN along with AJAX to build an application that will be able to fetch profiles on Github using usernames. 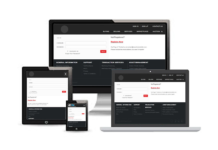 You will design a UI from scratch and work with the bootstrap CDN for creating the application. 5. jQuery Image Slider: – A fairly important project for anyone that is a popular format for displaying images on a website. This project will teach you how to design a clean and crisp image slider using the jQuery Clean Plugin. 1. Movie Project: – In this project, you will learn how to create a complete movie listing application using Node.JS and Mongoose API from scratch. From setting up the Node.JS and Mongoose, to creating a database in Mongo, as well as updating and deleting functionality, you will learn it all. The project also includes an introduction to the RestEasy framework. 2. 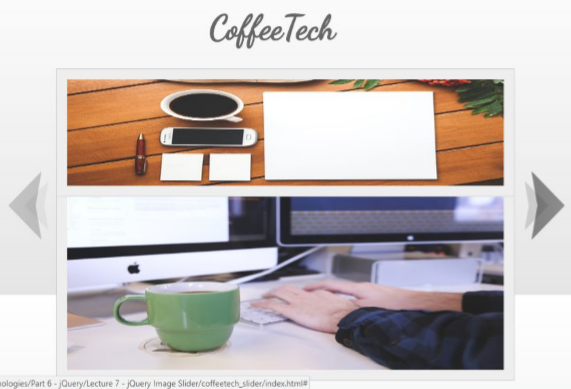 Simple Blog: – You will touch back on the basics with this project, by designing a simple blog using PHP and Postgre SQL. However, this time around you will focus on the database aspect, by understanding the ins and outs of Postgre SQL. 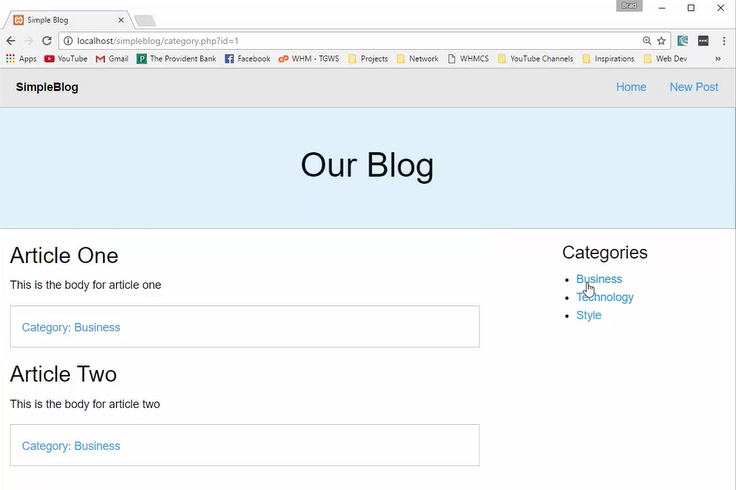 You will learn how to connect Postgre, use Foundation UI in your project, fetch categories, add a new post to your blog and also how to filter blogs. 1. 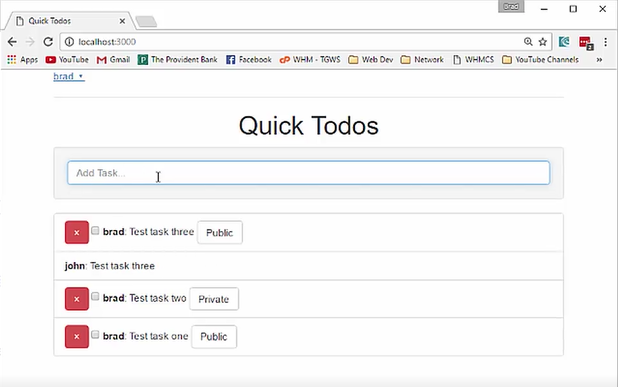 QuickTodos: – This project will start your foray into the back-end technologies and it will start with MeteorJS. You will build a quick and simple To Do App that will also show you how to install Meteor JS, learn the environment, insert data, find data using MongoDB, understand the Mark and Delete functionality and finally also how to add a User Account to your project. 2. 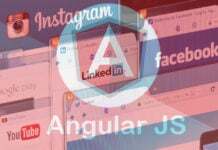 NgWbsite: – This project will help you learn one of the most popular back-end technology, the Angular 2.You will design a simple, yet elegant website using Angular 2, based on routers. 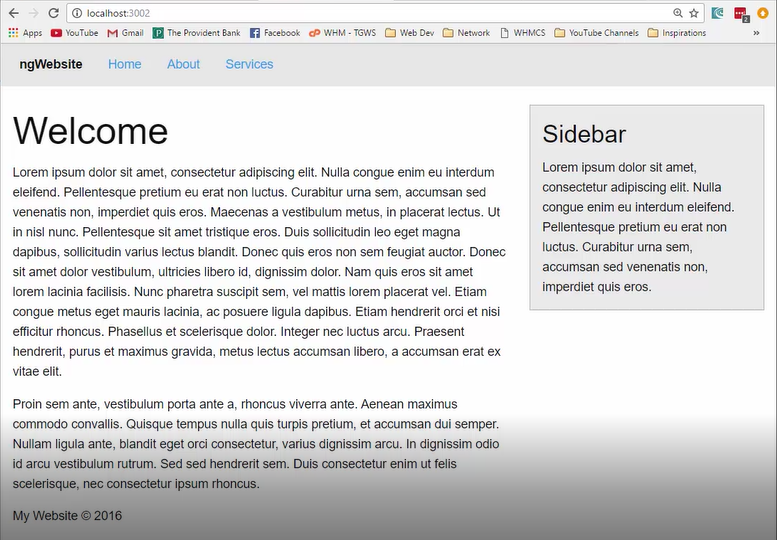 You will learn how to incorporate the Foundation Framework, as well as learn about how to add a sidebar to your project. 3. Joblister Project: – Another big technology – the PHP. 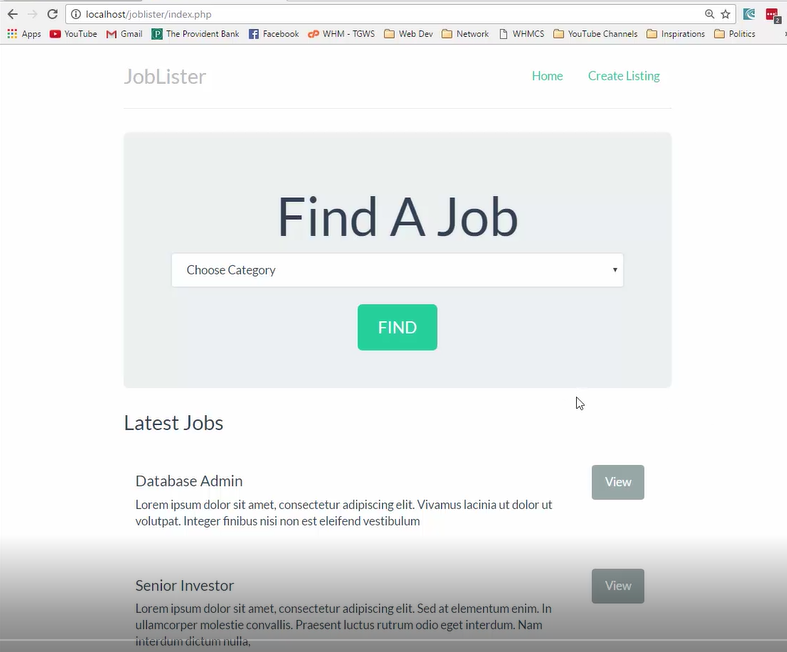 In this project, you will create a job listing application using PHP and a customized bootstrap theme. You will learn how to build a database, as well as add it into the application. You will also learn how to create classes, filter jobs based on categories, display a single job with descriptions, create a job listing, edit and delete functionality in a job listing, etc. 4. Rails App: – With this application, you will learn the ins and outs of Ruby on Rails. 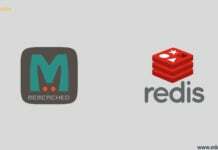 This project will include an introduction to Rails installer set up, creating controllers and basic routes, incorporating bootstrap in your app, creating resources with routes, migrating models and databases, learn data validation and data listing, update and delete data, model associations and even HTTP authentication. These are just a few of the many different projects that are included in this big course. This bad baby is a definitely worth putting on your watch list. So, mark your calendar for the end of November! If there is any suggestion or feedback please do share it in comments below. That’s a lotta power there! I’m going to take a peak at it. wow…can’t wait i have mark it on my calendar! It’s difficult to judge without knowing where in the course this course preview video sits, but the instructor wasn’t really ‘explaining’ what he was doing. He was mainly just ‘showing’ what he was doing which would leave a student not ‘understanding’ WHY he’s doing it. The instructor saying at the start of the video “If you don’t have MongoDB go and get it and set it up. . .” without showing ‘where’ to get it or ‘how’ to set it up left me concerned that the course might lack structure. Surely in a structured course the instructor would know whether the student HAS the tools for the lesson yet. It’s definitely the kind of course I’d be interested in but having taken other courses which had too many assumptions and omissions there were a couple of ‘alarm bells’ going off while watching the preview video. It’s often the little assumptions and lack of full explanations that become the big stumbling blocks in ‘distance/online’ learning material. Not trying to be negative, just honest feedback from a potential student who’s experienced the ‘good’ and the ‘not so good’ sides of online courses. @Bob … thank you. As a potential student, I was wondering if this was an issue with this offering. Looks like the instructors have a lot of work to do, yet.